Synopsis: This Coretta Scott King Honor Book is the first one I've read by Jason Reynolds. I've been wanting to read one of his for a while now—he is someone who is clearly well regarded by other authors online. Now I can safely say that, if he's anything like his narrator Genie, he's full of character, curiosity, humor, and heart. In this middle-grade novel about family, brotherhood, and what it means to be a man, the story is told through the eyes of eleven-year-old Genie. Genie's dominant personality trait is inquisitiveness: he is constantly asking (often inadvertently hilarious) questions, and when he can't ask them or Google them, he writes them down in his notebook for later. These days he has to write down a lot of his questions because his fourteen-year-old brother Ernie has no patience for them, and mom and dad are arguing all the time. And now, while their parents work out their troubles, Genie and Ernie have been sent from their home in Brooklyn to their grandparents' place in rural Virginia for the summer—where there's NO INTERNET. Of course, a new environment means a whole new set of questions for Genie—questions like, why is Grandpop blind, and how does he navigate the house so well when he can't see? Even more confusing to Genie is, why does Grandpop never leave the house? And why, if he can't see, does he have a gun? Observations: Of all the questions Genie asks, the meaning of manhood is really the central Big Question in this book. Genie really looks up to his older brother, which is why, when the time comes for Ernie to "be a man" and learn to shoot, he can't understand why Ernie is so reluctant. When Genie looks at the men in his life—his dad, his Grandpop—he realizes that manhood is a lot more complicated than he first thought. And, as Genie himself learns to deal with the problems of his own making, and figures out how to own up and solve them, he gets a few more clues about what it means to be a man and an adult. Something I really liked about this book is that the problems and obstacles are all realistic and believable, and the issues Genie is faced with are things he can face down because they're…not so much that they're kid-sized problems, but they are issues that any reader can relate to: what to do if you break something with sentimental value to someone else; whether or not to keep a secret. At the same time, these more everyday-sized problems are stand-ins for real, adult-level issues that are being dealt with by the grown-ups in the picture, and so Genie's questions—and his solutions—have weight. Conclusion: Genie is such an earnest, busy, lively guy, and he's easy to root for (and cringe for, too). 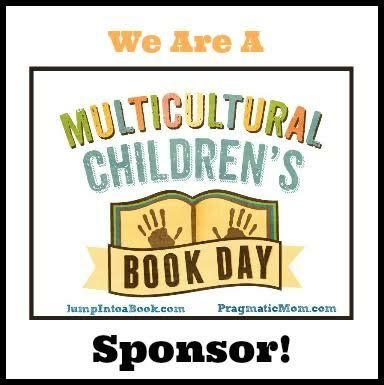 This is an outstanding addition to the realm of MG novels about family and trust, as well as MG literature by and about people of color. I received my copy of this book courtesy of my library's ebook collection. 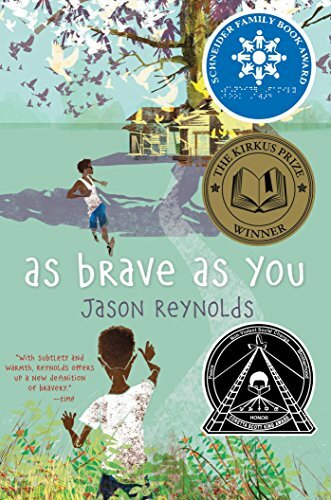 You can find AS BRAVE AS YOU by Jason Reynolds at an online e-tailer, or at a real life, independent bookstore near you!